Our apartments in Baltimore, MD, are the perfect place for residents to live out all of their biking dreams. Residents of 2Hopkins apartments in Baltimore, MD, are fully equipped to bravely take on the city from the back of their favorite two-wheeler. You’ll enjoy the convenience of our onsite bike storage for reassurance that your wheels are safe when you’re taking a break from the road or trails. We also have a bike repair station so that you’ll be up and wheelin’ in no time after any mishaps. The benefits of riding a bike are so extensive that it’s difficult to name them all. But to name a few, you’ll reap the benefits of: reducing the amount of pollution in our air, improving your personal health and staying in shape, reducing stress and saving a ton on gas money. Not to mention all the fun you’ll have as a bike-rider in Baltimore! You’ll make tons of new friends from the back of your bike when you live in Charm City. Baltimore is home to Baltimore Bike Party, “a mass monthly ride for participants of all ages, backgrounds, and abilities.” They meet at St. Mary’s Park in Seton Hill on the last Friday of every month and end the ride with a block party. For a more frequent dose of group bike riding, you can join the Baltimore Bicycling Club for group rides every weekend. If you prefer solo rides off of the street, 2Hopkins Baltimore apartments are conveniently near two of Maryland’s prime biking trails. From the Inner Harbor you can access Gwynns Falls Trail, which runs 15 miles, and Jones Falls Trail, which runs nine miles. So what are you waiting for? 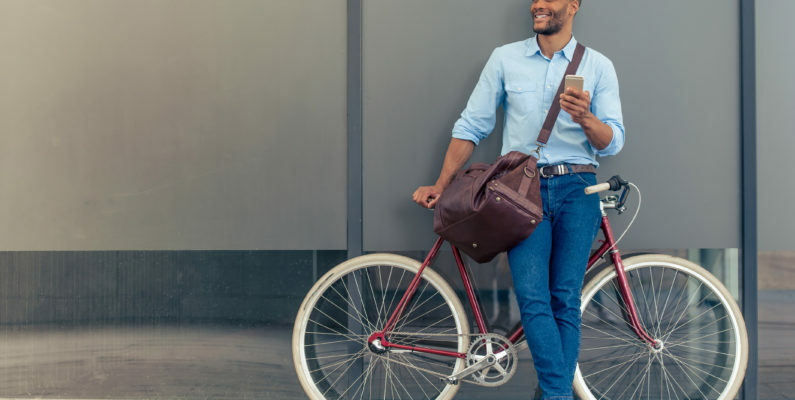 Head on over to an apartment community that makes it easy to prioritize your commitment to biking and all of the fun and fitness that come with it. Don’t have your own bike yet? Not a problem! You can easily pick out a bike to rent from the Baltimore Bike Share rack right outside of our building. Visit our apartments in Baltimore, MD, at 2 Hopkins Plaza, Baltimore, MD 21201.